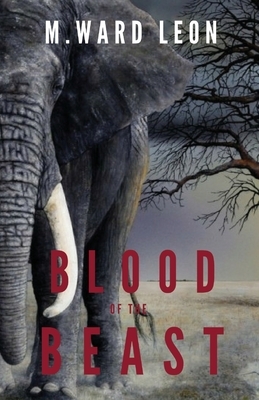 Blood of the Beast is the story of an international French eco-terrorist group who has taken its name, 'Le Gang de la Cl de Singe, ' from Edward Abbey's novel The Monkey Wrench Gang. Although they originally formed to combat large corporations who showed little or no regard for the environment, they have recently decided to wage a world war against all poachers and big game hunters, as well as anybody in the world that targets any animals for sport, all in the name of Mother Nature. Leading the charge are two friends, Todd Styles (aka Rodin, ) a Vietnam draft dodger who has become a leader in the international eco-terrorist group and Buzz Murdoch, a Hippie stoner living in Jamaica with his sidekick: a 1600-pound Bumble Bee Grouper. Blood of the Beast interweaves Rodin's life of eco-terrorism, murder, and revenge with Buzz's laidback peace-loving existence, ultimately bringing them together to fight a common enemy. Le Gang de la Cl de Singe encounters many enemies, from elephant poachers in Africa to Japanese whalers in the Antarctic. Their targets range from a pro- football cheerleader to a Nazi sympathizer to a wealthy ex-presidential candidate and his family. Members of Le Gang de la Cl de Singe always leave a special calling card: a yellow flag emblazoned with a black skull and crossed wrenches hung around their victim's neck. They are ruthless and show no mercy, be it man or woman there are no exceptions. The gang is considered by every nation to be pirates and outlaws leaving them constantly on the run to continue to fight the self-righteous belief that the world is ours to destroy.